On April 21st, 2018 we celebrated with the Bdote Learning Center in a showcase of academic achievements and language acquisition. 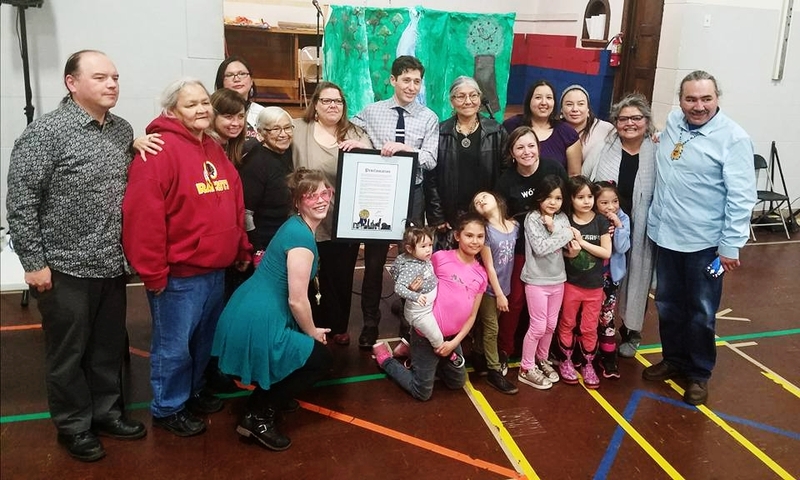 We would like to thank Minneapolis Mayor Jacob Frey for visiting the Bdote Learning Center and recognizing the efforts this school is doing to encourage language revitalization. Congratulations to all of the kids and families that were represented this night!